Motorola announced its 2018’s E and G series devices last month in Brazil, and the phones are set to launch in major smartphone markets like India. Soon, the company is launching its Z series phones of 2018 and just like last year; we are expecting to see the launch of Moto Z3 Play first. 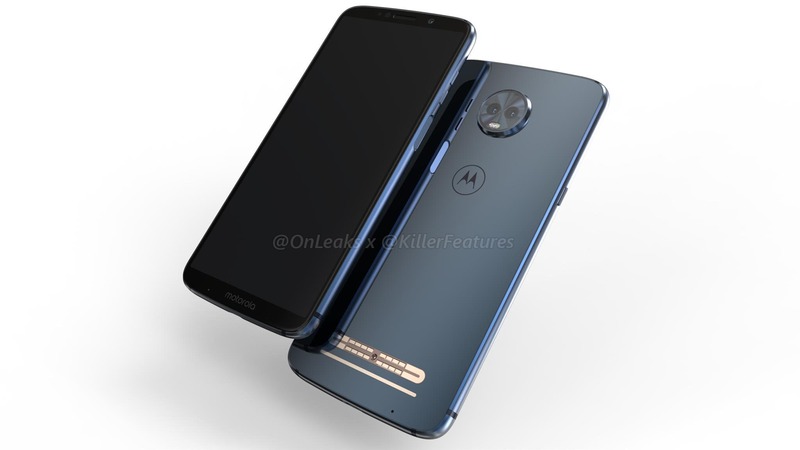 It will be the successor to last year’s Moto Z2 Play, and today, the official press render of the phone was leaked by none other than Evan Blass, the most trusted source for all sort of leaks related to smartphones and other gadgets. The press render reveals the gorgeous Deep Indigo color option of the Z3 Play and also confirms something we are going to see on a Motorola device for the very first time. 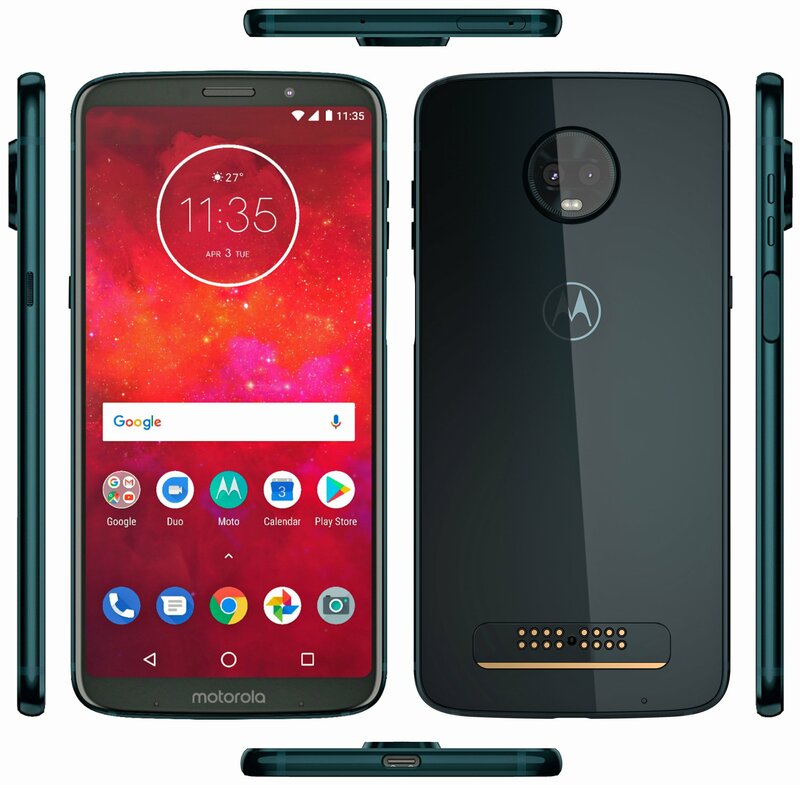 It is not the first time that the Moto Z3 Play has leaked out. In fact, the phone even showed up in some hands-on images this month. The hands-on images revealed that there isn’t a fingerprint scanner on the front or the rear. The render posted by Evan today confirms the reports of a side mounted fingerprint scanner. So, after Sony and Meizu, it’s Motorola that is going to place the fingerprint scanner on the side of its phone. Talking about the other things, the render shows the magnetic pins on the rear to attach the Moto Mods, and as per previous reports, the dimensions of the phone are going to remain the same as the previous generation, which means the Z3 Play will support old Moto Mods too. Sadly, there is no 3.5mm headphone jack, and the USB Type-C port is placed on the bottom. The device seems pretty slim in the renders, so we assume that the battery isn’t going to be that big. Still, Turbocharging is there which is a nice addition from Motorola. Just like this year’s G and E series phones, the Moto Z3 Play has an 18:9 display on the front with rounded corners. The bottom bezel has nothing except for the Motorola logo. There is a dual camera setup, and yes, there is a big camera bump. Finally, the render shows three microphones in total, so looks like the Z3 Play is coming with some really good audio recording. Some sources report that the phone is coming with a Snapdragon 636 processor, which is kind of hard to digest since it’s the processor that we have seen in phones priced way lesser than the Z3 Play’s expected pricing (around $450). If it is true, it seems Motorola is going to have a hard time selling the Moto Z3 Play.